Thyroid dysfunction has been shown to have a significantly negative effect on fertility in women and many studies have linked it to conception failure. The thyroid has a lot of influences on immunity and fertilisation and it plays an important role in the processes of implantation, fetal development and fertilization1. The thyroid gland is a small gland that is shaped like a butterfly and is located near the front of the throat just below the voice box and above the collar bones. Every cell in the body depends on thyroid hormones, as they are responsible for regulating the body’s metabolism. 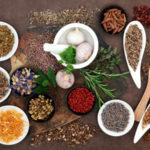 Also, they regulate energy production, fat metabolism, oxygen utilization, blood calcium levels and a balance of other hormones – as well as taking care of weight maintenance2. Thyroid dysfunction has been known to reduce the likelihood of pregnancy because it disrupts the normal menstrual pattern. Hypothyroidism is a condition that is prevalent in women of reproductive age and it is defined as an abnormally elevated thyroid stimulating hormone level. There are several factors affect hypothyroidism, including dietary iodine status and age. If you have been trying to get pregnant unsuccessfully for the last 6 months you might want to check if your thyroid is functioning at its optimum before you spend thousands of dollars for technology for assisted reproduction. 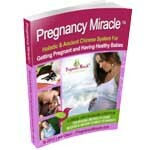 If your thyroid is under functioning, this will prevent you from achieving the pregnancy that you desire. 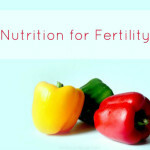 While there are a lot of reasons why you might be infertile, the reduced thyroid function might be the missing link for those who have reproductive problems that cannot be diagnosed3. 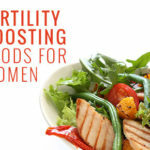 If you suspect that you have a thyroid problem or you already know that you have this type of problem, there are some significant ways that thyroid disease can affect fertility. If you suspect that you have a thyroid issue, ask your doctor so that you can be tested for some of these thyroid issues. Here are some of the most common thyroid issues and how they will affect your fertility. Getting a diagnosis as early as possible is important in order to avoid the serious issues that can arise with thyroid diseases. This condition is when overactive tissue in the thyroid gland will lead to overproduction of the thyroid hormones. This is often cause when the thyroid is inflamed, which is known as thyroiditis. Also, it can be caused by a variety of reasons that might lead to Hashimoto’s thyroiditis. 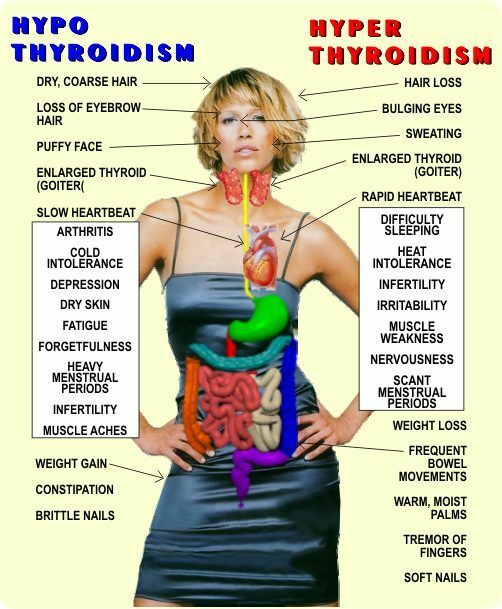 Hyperthyroidism affects women in many ways. 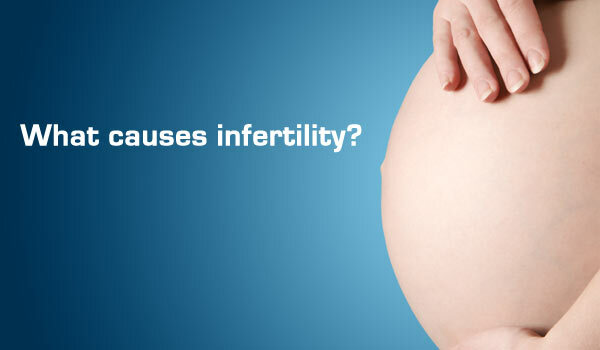 It can cause a loss of libido, a loss of periods and postpartum thyroiditis. This condition can also be an issue in men, because it will cause an abnormal enlargement of the mammary glands as well as loss of libido and feminization. If you are experiencing any of these symptoms, it is important to consult your doctor so that you can undergo tests for hyperthyroidism. This condition is the opposite of hyperthyroidism – it is when the thyroid is not producing enough thyroid hormones. This happens when the body is experiencing an iodine deficiency. It is more likely that this disease will affect women more than men. Hypothyroidism in women can cause female infertility as well as problems with the menstrual cycle. It will also result in hyperprolactinemia which is when the prolactin hormone is elevated. Another issue that it can cause is galactorrhea, which is a flow of milk in the absence of childbirth or pregnancy. 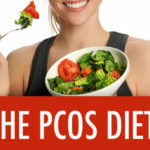 Some of the later signs of the disorder are abnormal menstrual cycles and low basal body temperature. When hypothyroidism affects males it results in decreased libido and it creates impairment of testicular testosterone synthesis. It also results in the abnormal enlargement of the mammary glands in males. It is important to diagnose and treat hypothyroidism, because if it is left untreated it can cause serious complications in pregnancy. It can be dangerous for both the mother and the baby. Also, Hashimoto’s thyroiditis can lead to hypothyroidism, so these risks for complications fall under that problem as well. Some of the dangerous complications that this condition can cause during pregnancy include preeclampsia, miscarriage, anemia, placental abruption and postpartum hemorrhage. 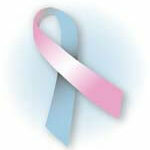 The complications for the baby can be low birth weight, thyroid problems, preterm birth, birth defects and stillbirth. This serious thyroid disease is a chronic disorder of the immune system. When it happens, the thyroid gland starts to be destroyed by the cell and antibody immune response. The thyroid becomes overactive due to inflammation and this will trigger an immune response. The immune response will attack the thyroid, which will eventually decrease its function and lead to hypothyroidism. It is absolutely essential to treat any type of thyroid problems right away if you are planning to conceive a baby. If you have an untreated or neglected thyroid problem that might affect your baby’s growth or brain development, it is essential to have this treated before you try to conceive. These problems can lead to miscarriage, infertility or a baby that is born with birth defects. Also, thyroid disease are linked to an increased risk of issues during pregnancy, including poor fetal growth, preeclampsia, miscarriage, premature birth and stillbirth. Make a plan with your doctor and undergo the tests you need in order to find out whether you are suffering from thyroid problems. Eat more iodine rich food sources. A diet rich in whole foods will help you to improve your overall health, including your thyroid health4. Look for foods that are high in iodine, such as whole fat yogurt, raw cranberry, navy beans, strawberries and potato skins. 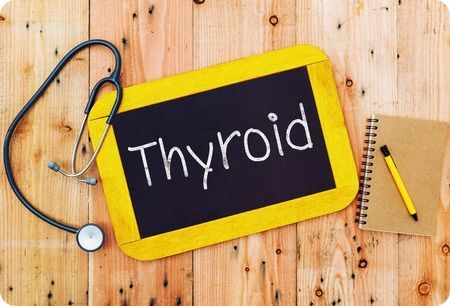 Ask your doctor for a test of your thyroid stimulating hormones, which will include a full and complete test of your thyroid levels including free thyroxine and thyroid antibodies. 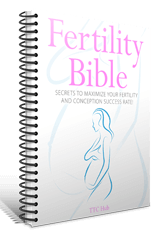 You can check to see whether or not you are ovulating by using a fertility awareness monitor or ovulation predictor. Take zinc supplements, which will help with the manufacture of the thyroid hormone. Also, selected B vitamins and vitamin C are necessary for normal thyroid hormone manufacture. Eat more vitamin A by adding asparagus, broccoli, lettuce, carrots, kale, spinach, sweet potatoes and cantaloupe to your diet. Make sure that you are getting enough iron. If your levels of iron are deceased they can result in lower thyroid function which can lead to hormone imbalances. Add more Selenium to your diet, as this element will help to protect your thyroid gland by working as a detox and helping to flush out chemical stress from the body. It will help to regulate metabolism and maintain the right amount of thyroid hormones in the tissues and the blood. Egg yolks, organ meats, wheat germ, wild rice, mushrooms, Brewer’s yeast and almonds are high in Vitamin B2, so they are also very beneficial foods to eat if you have thyroid issues. Try taking the herbs Ashwagandha and Rhodiola, which are two herbs that support the thyroid gland along with your entire endocrine system. Add more seaweed to your diet, as it will help your body’s metabolism. Two or three services per week is just the right amount – as eating too much can be damaging. Reduce the stress in your life, as this will help your adrenal gland to function better. Learn ways of coping with stress in a healthy and positive way. Systemic enzymes have proven to be a very effective way to support your immune system function and respond to autoimmune diseases. This might be worth considering if you are suffering from hyperthyroidism. Be sure to exercise regularly, which will improve your overall health as well as help to manage your thyroid issues. Maca has been proven to have a balancing effect on the hypothalamus, which will control and stimulates the other endocrine glands such as the ovaries, testes, pancreas, thyroid and adrenals5. The golden variety of Maca is the best for dealing with thyroid problems, the other varieties have very high levels of iodine so they can put you at risk for having too much iodine. If you are looking to conceive a baby and carry it successfully to term, it is very important to address any thyroid issues prior to conception. Talk to your doctor about the possibility of a thyroid issue and what you can do to improve it. If you can diagnose the issue early, you will be able to make positive lifestyle changes so that you can decrease the risk of thyroid issues causing problems in your pregnancy.